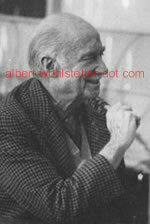 Today’s entry provides a list of Albert Wohlstetter’s published writings from 1990 to 1997. During the last decade of his life, Wohlstetter remained remarkably active despite his age. (In December 1990, he had celebrated his 77th birthday.) In the early 1990s, he served on the Defense Policy Board and not only provided outside advice to the Pentagon after Ba’athist Iraq invaded Kuwait, but also published a number of op-eds in the Wall Street Journal and Washington Post, as well as magazine articles in The New Republic and National Review, on the Persian Gulf War and its uneasy aftermath. In the mid-to-late 1990s, Albert (now an octogenarian) focused much of his attention on the Balkans, publishing numerous op-eds and articles that agitated for greater Western involvement on behalf of Bosnian Muslims and against what he saw as Slobodan Milosevic’s pan-Serbian aggression. Of note, he and former British prime minister Margaret Thatcher authored “What the West Must Do in Bosnia,” an open letter to President Clinton that was published in the Wall Street Journal in September 1993, and signed by more than 100 people from across the political spectrum and the globe, such as: Morton Abramowitz, Zbigniew Brzezinski, Osama El Baz, Henry Louis Gates, Jr., Zuhair Humadi, Marshal Freeman Harris, Pierre Hassner, Zalmay Khalilzad, Prince Sadruddin Aga Khan, Teddy Kollek, Laith Kubba, Czeslaw Milosz, Paul Nitze, Richard Perle, Karl Popper, Eugene Rostow, Henry Rowen, George Shultz, George Soros, Susan Sontag, Elie Wiesel, Leon Wieseltier and Paul Wolfowitz. Albert James Wohlstetter died in Los Angeles, CA, on January 10, 1997. He was 83. Although more than a decade has passed since his death, many today continue to see him as an influential and controversial figure. Albert Wohlstetter, “Captive Nations and Western Security,” opinion, Wall Street Journal, May 31, 1990, p. A14. Albert Wohlstetter, “The Fax Shall Make You Free,” unpublished speech for the Prague Conference, July 23, 1990. Published for the first time in Robert Zarate and Henry Sokolski, eds., Nuclear Heuristics: Selected Writings of Albert and Roberta Wohlstetter (Strategic Studies Institute, 2009). Albert Wohlstetter and Fred S. Hoffman, “Confronting Saddam: A Model Danger,” opinion, Wall Street Journal, August 9, 1990, p. A10. Albert Wohlstetter and Fred S. Hoffman, “To Break the Deadlock, Reclaim Kuwaiti Airspace,” opinion, Wall Street Journal, September 12, 1990, p. A18. Albert Wohlstetter and Fred S. Hoffman, “A Clear Win, Bearable Cost,” opinion, Wall Street Journal, January 10, 1991, p. A14. Albert Wohlstetter, “Iraq: Dictatorship is the Problem,” opinion, Washington Post, April 24, 1991. Albert Wohlstetter and Fred S. Hoffman, “The Bitter End: The Case for Re-Intervention in Iraq,” The New Republic, Vol. 204, No. 17 (April 29, 1991), pp. 20-24. Reprinted in Robert Zarate and Henry Sokolski, eds., Nuclear Heuristics: Selected Writings of Albert and Roberta Wohlstetter (Strategic Studies Institute, 2009). Albert Wohlstetter, “A Vote in Cuba? Why Not in Iraq?,” opinion, Wall Street Journal, May 24, 1991, p. A10. Albert Wohlstetter, “Nuclear Triggers and Safety Catches, the ‘FSU’ and the ‘FSRs’,” unpublished note, February 6, 1992, courtesy the private papers of Henry Sokolski. Published for the first time in Robert Zarate and Henry Sokolski, eds., Nuclear Heuristics: Selected Writings of Albert and Roberta Wohlstetter (Strategic Studies Institute, 2009). Albert Wohlstetter, “Wide Open Secret Coup,” National Review, Vol. 44, No. 5 (March 16, 1992), pp. 34-36. Papers, Speeches, Box 138, Folder 21. Published for the first time in Robert Zarate and Henry Sokolski, eds., Nuclear Heuristics: Selected Writings of Albert and Roberta Wohlstetter (Strategic Studies Institute, 2009). Albert Wohlstetter, “Help Iraqi Dissidents Oust Saddam,” opinion, Wall Street Journal, August 25, 1992, p. A14. Albert Wohlstetter, “High Time,” National Review, Vol. 45, No. 3 (February 15, 1993), pp. 30-33. Albert Wohlstetter, “The Balkan Quagmire: Why We’re in It — Still,” opinion, Wall Street Journal July 1, 1993, p. A14. Albert Wohlstetter, “The Balkan Quagmire II: The Way Out,” opinion, Wall Street Journal, July 2, 1993. Albert Wohlstetter, “Genocide by Embargo,” opinion, Wall Street Journal, May 9, 1994, p. A14. Albert Wohlstetter, “Arms, Not Words, for Bosnia,” Wall Street Journal, May 12, 1994, p. A14. Albert Wohlstetter, “Notes to Clinton on Bosnia,” opinion, Wall Street Journal June 10, 1994, p. A10. Albert Wohlstetter, “Too Many Flip-Flops,” opinion, Washington Post, June 26, 1994. Albert Wohlstetter, “Embargo the Aggressors, Not the Victims,” opinion, Wall Street Journal, June 28, 1994, p. A18. Albert Wohlstetter, “Creating a Greater Serbia: Clinton’s Final Sell-Out of Bosnia,” The New Republic, Vol. 211, No. 5 (August 1, 1994), pp. 22-27. Albert Wohlstetter and Gregory S. Jones, “‘Breakthrough’ in North Korea?,” opinion, Wall Street Journal, November 4, 1994, p. A12. Albert Wohlstetter, “Bosnia: Air Power, Not Peacekeepers,” opinion, Wall Street Journal, December 9, 1994, p. A16. Albert Wohlstetter, “Foreword,” in K. Scott McMahan and Dennis M. Gormley, Controlling the Spread of Land-Attack Cruise Missiles (Marina del Rey, CA: American Institute for Strategic Cooperation, 1995). 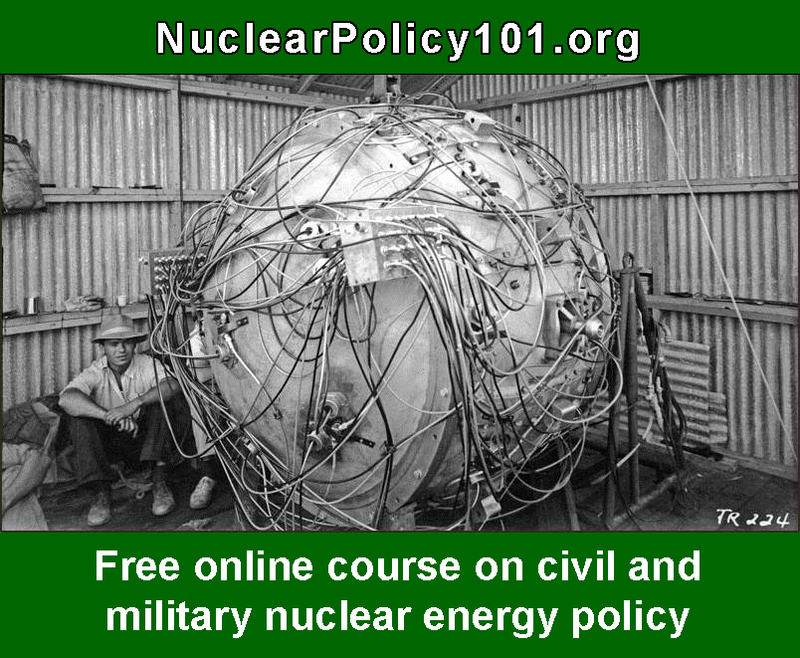 Albert Wohlstetter and Gregory S. Jones, “A Nuclear Treaty That Breeds Weapons,” opinion, Wall Street Journal, April 4, 1995, p. A20. Albert Wohlstetter, “Inferior U.N. or Superior Coalition Force?,” opinion, Wall Street Journal, May 3, 1995, p. A14. Albert Wohlstetter and Gregory S. Jones, “Beyond the Cold War: Foreign Policy in the 21st Century; Alternatives to Negotiating Genocide,” opinion, Wall Street Journal, May 3, 1995, p. A14. Albert Wohlstetter, “Chirac’s Challenge on Bosnia,” opinion, Wall Street Journal, July 20, 1995, p. A12. Albert Wohlstetter, “Relentless Diplomacy and Mass Murder,” opinion, Wall Street Journal, September 5, 1995, p. A14. Albert Wohlstetter, “NATO: Precise Power, Incoherent Goals,” opinion, Wall Street Journal, October 19, 1995, p. A22. Albert Wohlstetter, “Magic Tricks Can’t Disguise This About Bosnia,” opinion, Wall Street Journal, November 15, 1995, p. A20. Albert Wohlstetter, “Since Bosnia Has Been Reduced to This…,” opinion, Wall Street Journal, December 12 1995, p. A20. Albert Wohlstetter, “A Perilous ‘Partnership for Peace’,” opinion, Wall Street Journal, May 22, 1996, p. A22. Albert Wohlstetter, “The Cold War is Over and Over and…,” opinion, Wall Street Journal, October 1, 1996, p. A22. Albert Wohlstetter, “A Photo-op Foreign Policy,” opinion, Wall Street Journal, October 23, 1996, p. A22. Albert Wohlstetter, “Boris Yeltsin as Abraham Lincoln,” in Stjepan G. Meštrovic, ed., The Conceit of Innocence: Losing the Conscience of the West in the War Against Bosnia (College Station, TX: Texas A&M University Press, 1997), pp. 200-207. Reprinted in Robert Zarate and Henry Sokolski, eds., Nuclear Heuristics: Selected Writings of Albert and Roberta Wohlstetter (Strategic Studies Institute, 2009).